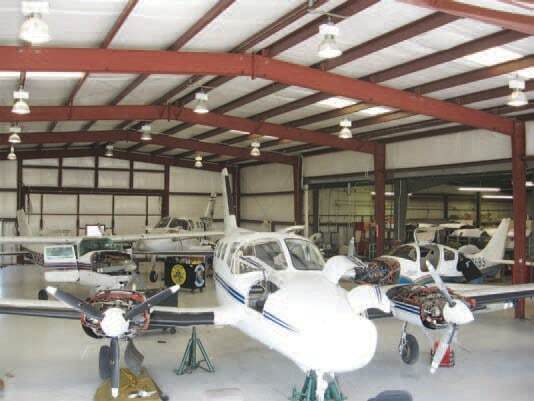 Big Iron Reality Check | Tennessee Aircraft Services, Inc.
I’ve noticed a surge of interest in the big bore turbo twin Cessnas lately. Several inquiries are from current single engine owners that want pressurization for the long trips. Others are from small companies looking for the redundancy of two engines and an executive cabin. It appears as though the relatively low purchase price is the main driver in these thoughts. I don’t know why I am consulted on these decisions, but I feel it my duty to give these potential buyers a small dose of reality. Don’t misunderstand me, I love the 400 series twins. They are the epitome of the executive piston twin. The closest comparable plane manufactured today is possibly the TBM series single engine turboprop. The Cessna 400 series twins carry six people in a pressurized cabin with somewhere between 600 and 750 horsepower burning twenty-five to forty gallons per hour in cruise speeds from 170 knots to maybe 215 knots. The TBM series are newer, carry the same six people in better pressurization with the same or a bit more horsepower than the Cessna and burn between thirty and sixty gallons of jet fuel per hour while covering the ground fifty to ninety knots faster. There are many points of comparison, but it usually comes down to cost. The twin Cessna prices all end with a $K while the TBM prices end with $M. The typical owner move might be from a 210 into one of the pressurized twins: P337, 340, 414 or the 421. At first glance one might think the only significant difference is the addition of a second engine. If that were true, then cost of ownership and operation would be something close to or even just under double that of the 210. However, there is much more to the big bore twins than just the extra engine. I try to get prospective buyers to understand the difference in purchase price vs cost of ownership. At the bottom of the purchase price barrel are tired 414s selling for less than $100K, while top of the line 421Cs might fetch $575K. The TBM series start just a bit under $1M and go up to the current production 900 at about $3.7M. The low end entry price of $100K is a one time cost, but ownership expenses continue and are almost limitless. Potential buyers might think a comparison of the 400 series pressurized twins to a plane like the very expensive TBM is unfair. The reality is in their day the twin Cessnas were the exact equivalent to the TBM and even the very light jets we keep hearing about. In the late 1960s, these cabin class piston twins were impressive executive transports. They would primarily be flown by professional pilots and maintained by mechanics that were Cessna factory trained. The cost of ownership and operation were calculated as a part of doing business. When a business purchases a plane for their flight department, there is usually an aviation professional that acts as the aircraft manager. This person should fully understand the process of purchasing and particularly determining the condition of the plane. The manager’s job isn’t to be an expert in the mechanics of the plane to be purchased, but he/she does need to know where to find that expert. When an individual purchases a plane, a proper pre-purchase evaluation is the first best chance to save thousands of dollars. This is true when purchasing any plane, but the financial and safety stakes are far greater when one crosses the line into the executive cabin class piston twin. This is when someone is needed that is very experienced in the specific model and knows exactly where the high dollar problem areas are. Every pre-purchase I’ve been involved in is a time pressure event. The seller wants to get rid of an unwanted asset and get the check in the bank as soon as possible. The buyer has been patiently looking for this plane for months, and now that it’s found, it needs to get online and productive as soon as possible. The reality is that this is the worst time to get in a hurry. Missing the simplest thing during pre-purchase can be a major thorn in the side going forward. Pushing a shop/mechanic to rush the process opens the door to missing something that could cost the buyer thousands of dollars and unwanted downtime. More engines than airframes in the shop is not the norm. I’m sure you have some pretty good ideas for reasons one might want a cabin class twin. There’s the obvious pluses like speed, pressurization, roominess, and the redundancy of a second engine. Once you’ve flown one, you’ll experience the smoothness and quietness offered by the extra rigidity of a pressurized cabin and having the engines mounted out on the wings. Your passengers will love the wide cabin and the really cool flip out tables. There’s something special about being able to climb the airstairs into a cabin class twin and walking up an aisle to the cockpit, too. A quick peruse through the aircraft sales papers reveals pressurized twin Cessnas can be found for as little as $60K. That appears to be a lot of airplane for that amount of money. Unfortunately, there are reasons why those prices are so low. I would suggest to proceed with extreme caution when the pricing seems too good to be true. The grass may be greener on the other side of the fence, but it still has to be mowed. To move into this class of airplane you need to take a serious and honest look at the expected costs after the purchase. Contacting owners of these planes is a great idea to get some first hand experiences, while there are a few items that pop up on my radar as a starting point. It may seem that a second engine would simply double the ownership cost, but the real number is closer to triple that of, say a T210. The engines are about the same as a T210, but the airframe is much larger and more complex. The flat rate labor for an annual inspection on a T210 runs about thirty-two man hours. An annual on a 414A might be closer to seventy man hours. This is just the basic inspection, so compliance with FAA airworthiness inspections is added on top of that. With the added engine and larger more complex airframe come added repairs as well. There are a few maintenance items the twin Cessna owner must get familiar with that the 210 owner doesn’t. The newer twins hydraulic landing gear system has a high pressure bottle that requires a DOT hydrostatic test just like an oxygen bottle. The older planes with mechanical gear need routine checks and adjustments to keep them working properly. There will be a gas fired cabin heater in the nose of the plane that is also part of the pressurized cabin system. The known icing equipped aircraft may have a heated glass pilot side windshield which costs a small fortune to replace if the heating element fails. There is a very important exhaust system AD that is often misunderstood and misapplied. A one time wing spar strap installation AD compliance can easily exceed the purchase price of the airplane. These are just a few items at the top of the list of things to watch for. During the CPA Systems and Procedures classes, we have a standing offer to provide any attendee with a written statement to the pilot’s spouse explaining how flying more will reduce the cost of ownership. It’s all in fun, but the underlying fact is that it’s true. With a large complex piston twin it is even more important. A big bore engined twin Cessna will be problematic if only flown fifty to seventy-five hours per year. Dispatch reliability increases greatly with frequency of use. As a pilot you’ll want to explore the cost and availability of insurance. If you don’t have a fair amount of piston twin experience, you can expect pretty high minimum training requirements to get and keep the insurance. It’s also highly recommended to include model specific annual recurrent training to the budget. The second engine may add redundancy, but is also adds significant complexity to the emergency procedures. You really don’t want to find out that you need training when an occasion arises that requires that training. I realize the Con list is much longer than the Pro list, but each item on these lists carries different weights. The redundancy of a second engine may totally outweigh the added fuel costs. Having a pressurized cabin large enough to carry the entire family all the way to visit Mickey Mouse may outweigh the higher maintenance costs. You get to decide what weights to apply to each Pro and Con. There is one Pro I didn’t mention, and that’s the testosterone effect. Having two throttle levers available is a significant boost to one’s ego, and there’s no way to measure its value against the listed Cons. The testosterone reference is not intended as a slight against you ladies, but I have found you aren’t nearly as easily swayed by such ego enhancing machines as we men are. The real truth is that we can’t justify owning an airplane nor can we rationalize it. However, the same goes for the car you drive. No matter what car you have, you could find another that costs less to own or operate but will still get you from A to B. In fairness to the car, an airplane is usually on the discretionary spending list, so the rules may be different, but on some level you decided you could afford something better than the bottom of the barrel and were willing to fork over the money to get it. That more expensive car doesn’t do anything the cheap car won’t do. You decided you have the money to spend and you simply wanted it. That same logic can apply to purchasing and owning an airplane.